On the Internet images are everywhere and they are easy to find, copy, and reproduce. Little clickable buttons underneath the images such as that of Facebook and Twitter actively encourage you to re-distribute them. But are you actually allowed to put them on your blog, your social media page or even print them? 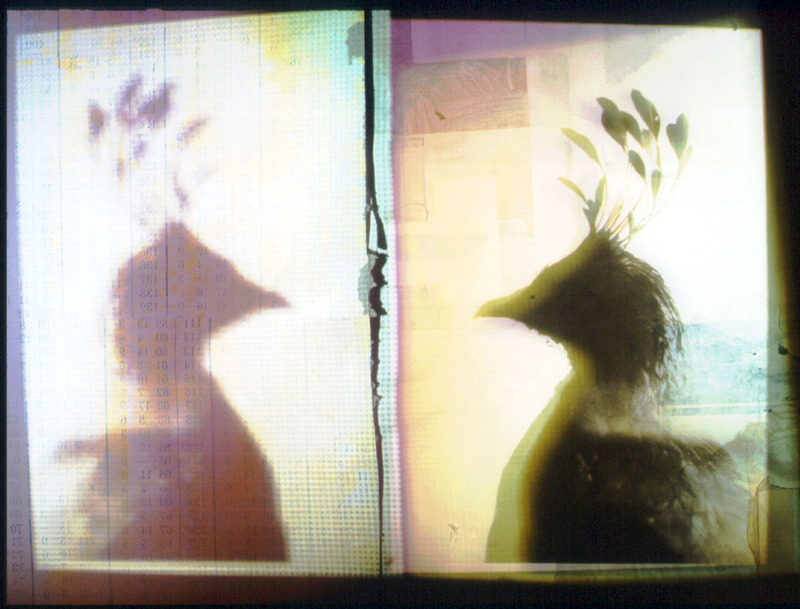 As a creative can you use found images and integrate them in your own illustration or design? As a student, lecturer or researcher can you use them as references in your article or presentation? The short answer is: yes, but only if you have got all the right to do so. And thus in most cases the immediate answer will most likely be: no. You might think that it’s mostly an academic discussion, because there are just too many images to police. But apart from it being a moral issue, with all the new scanning and watermarking software out there, amended laws coming in the US and UK and EU, large image cooperation’s like Getty and Disney getting better in spotting those who borrow their images, plus off course your image might be borrowed too, you might need to think again. Some insight in the do’s and don’ts, ifs and buts and new legislations might be useful for both makers and users, especially with a focus on illustration and online usage. Sit tight, I fear this is not going to short or straightforward. Since we are going all legal in this article- here is the disclaimer: this is not official legal advice, just a guide: For specific advice on copyright, it is recommended that you consult a specialist copyright lawyer. Start by reading the terms and conditions of image archive sites, ask your university, publisher or association of illustrators and start with further reading on the websites suggested below- that won’t cost you anything. Images are commercial goods, but images are also personal. This is so for makers- who have to make a living from their images and the sale of rights, and for the large image libraries that tap into the potential of the resale of images. The copyrights are not only a source of income but actually meant as a guarantee that the images are not going to be used in unintended ways. Intellectual property rights of which the copyright is just one are also there to help protect those otherwise involved with the image; the client who paid for it, the publisher and the subjects depicted on the pictures, etc. It’s their money, their hard work and their physique, over which they want to keep some kind of control. On the other hand, some images are part of our cultural heritage, some images are there’s evidence, and some images can’t be traced to its owner. It’s undoable to first get copyright permissions before you place a picture on your social media page, and it’s pretty harmless really? Besides, doesn’t the maker benefit from this free publicity? There is a strong movement that believes there should be no such thing as copyright, which locks away content form the public, they see copyright as a corporate tool to commercialize or exclude culture, creativity and exchange. 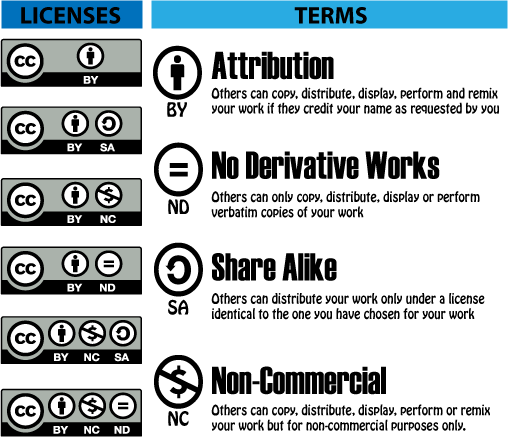 Practices like Copyleft or the Creative Commons have come out of these movements. All in all still a messy, murky water these intellectual property rights, particularly for images, and even more so with the proliferation of the Internet. It doesn’t help that the law is often unclear and open to interpretation. The UK government, in line with the EU, is at the moment near implementing modernised copyright rules, following the US model, it will affect mainly the images that are seen as made by unknown creators, but also proposes a new way or registering images, which for individual artists might mean a lot of work. What are Intellectual Property Rights and Copyright? Intellectual property rights or IP are laws put in place that restrict unintended use of intellectual property. This concerns all original images, inventions, design, music, computer programs, writing and so on. It’s the physical expression that is protected, not the idea itself by the way. IP are made up of Copyrights and the Neighbouring Rights, these are rights such as moral rights like privacy, portrait right, indecency laws or trademarks, patents and design rights. For instance the owner of the image can demand certain provisions to do with the integrity of the work; like the right to be acknowledged and the right for the work not to be subjected to a derogatory treatment, meaning the work can’t to be cropped or manipulated. As a user of the image, you are expected to adhere to these rules. Copyright is the most well known right of the IP. It is the automatic right for creators of original works to exclusive economic rights and control of copying, adaptation, distribution, performance and broadcasting. In return for licensing the materials the creators are entitled to receive royalties. As the maker of an image you need to consider the possibility of re-distribution early on, to stop any unexpected claims later. For instance ask the model in a photographic image, or close resembling illustration to sign a statement in which he or she waives the portrait rights. It might need some careful explanation, but you need to be open about how you want to use the image and where it will be published, for now but also perhaps later if the publisher wants to print a next edition, and keep an open mind towards other reuse or resale. Copyright applies automatically on all the images you create or get published and there is no official need for credits or the copyright logo © for the image to be protected. For those of us who are thinking of (re)using a published image, in general private usage is fine. Put it above your bed, turn it into your own screensaver and physically show it to your friends- but don’t publish! Publishing is of course the traditional printing and copying on paper. But in the digital age it is also tweeting, putting on social media pages, making it part of a YouTube compilation, putting it on image collection sites like Pinsterest, Flickr or Tumblr. Also you’re not allowed to present the work to an audience in a commercial public space, say a PowerPoint presentation or performance in a theatre, even a museum. Then again you can show in a teaching environment, and yes, there is ambiguity here. An image-maker might have granted permission for one particular usage, so-called informed consent, but unless stated this only applies to the particular situation granted. Most copyright contracts hold some form of formulation that covers for a wide range of usage, often those we think of as common sense. But this is by no means automatic or something that cannot be negotiated, and sometimes surprisingly narrow or wide. Reading AND writing the small print I fear is important. If a photograph or illustration shows the creation of another artist, as its subject or as an essential part of a larger composition- the maker of this photographed work also holds copyrights. This means that you might have to clear both permissions. Say for instance if you wish to use or make a photograph of a sculpture or particular building, you need to clear the rights with whoever holds the rights of the photograph AND the sculpture/ building. There is also the fair use rule. This mainly applies to two groups of images, those used for ‘criticism and review’ and published in the context of criticism, comment, news reporting, teaching, scholarship, or research. The image is free to be used if the image is referred to in the text, and if it is positioned in proximity of its description. This term is used in relationship to so called orphaned images. These are images where the maker is truly unknown. These are often old pictures like you find at flea-markets, but equally this can apply to the images that get send around through social media, which are not credited properly. Interestingly there have been some uproar lately where social media companies have claimed the orphaned status of images on their sites and thus that they could freely use them- and sell them on- stretching the orphaned image clause[i]. Like the US government, the UK government is working hard to adjust the laws to take into account the flood of orphaned images. This might result however in the need to the makers of images to register their work. If you really, really, can’t find the owner, you can use them, but proceed with great caution. For instance it is best practice to put in the article, book or site a disclaimer, referring to the fact that you did your best to find out who was holding the rights, but could not find them. This is not a guarantee that the copyright holders won’t find you- but they might be in a better mood during the negotiations that follow. For employed staff the rights of the work, which they do as employees, belong to the company that pays their taxes. This also applies to students and academics and their university. There are some interesting cases of copyright claim by universities where their student became famous and the student-works have turned out to be very profitable indeed- that is-for the university. But for freelance artists, who are commissioned for specific works, all the copyrights belong to them. Even if there is no written contract it is seen as best practice not to resell the image until a year after the first publishing. Still, it’s best to be safe, and have something in writing that states the conditions of copyright ownership. Some companies actually think that they buy the image plus all the reproduction rights. Though it feels like common sense for the client to actually to be able to reproduce the work, if this is not stipulated, officially they have only paid for your hours of work, not the work itself, nor the copyrights. There are publishers that ask illustrators nowadays to sign away all the rights before they even start – a strong-arm tactic by large publishing houses where the alternative is that the artist just won’t get the work, if they don’t sign on the dotted line. Illustration associations[iii] have been protesting and warning their illustrators, but it’s a buyers market and for many illustrators a choice between work and nothing. Brad Holland – famous editorial illustrator, who has been publishing for over almost fifty years and has seen his work copied, used and abused in many ways has been on the case for illustrators, his blog makes fascinating and very well informed reading on all rights issues- particularly for freelance illustrators. Are there special rules for digital images and digital image use? Digital images and online usage follow the same rules as all other images. But with the proliferation of digital technologies the laws unclarity has meant a lot of unfair usage, often in ignorance. What has not really been well described is the situation for computer generated images, multimedia and interactive productions? After all, the user has become the co-author in some regards. Also with multi media products, there is a myriad of rights attached to each medium involved. Also if you are not too concerned that your image travels the web in unexpected ways, how can you still retain some copyrights, make sure commercial companies don’t run away with it? In every country copyright laws are different, though there are various global or EU wide initiatives. In general the law of the country where the image is distributed will apply. Off course with the globalization of the Internet, publisher, artist and those who find the image might all be in different countries, which laws apply then? Plus there are copyright havens– countries that have no, or very slack rules. How can I protect my image? Protecting the work from infringement of copyrights is very difficult. Though the work is automatically protected, in practice you will find it very hard to stop misuse from happening and you need to question yourself if it’s worth the effort pursuing every case. A polite email to the ignorant perpetrator might help, or a legally worded letter. IComing from the opposite site of the debate, in the Netherlands the celebrity/ writer and blogger Kluun recently tried to open the debate in the media for free image usage, by ‘turning his site to black’, where he felt extortionate copyright claims were made to compensate for the photographs he had ‘plucked from Google’ and placed in his blog. In my eyes it’s a different matter if someone is making serious money using your image. Still a court case takes money patience and persistence and no guarantee for the outcome. But the proposed new fair use rules might make it difficult for you to hold a claim, if your work can’t be traced. Starting with a simple credit, if you use a credit lines its best practice to use the following form: ‘Year, name of rights holder, All Rights Reserved’. Also consider embedding your details so it cannot be separated when the image gets send on. A lot of illustrators actually use their web-address as a credit line. New legislation asks creators to digitally register their works voluntarily. This means as much that if you don’t do this, the new laws might not be able to protect you. You do this through invisible watermark[iv] or use the metadata[v] of the image to store details that can trace the work back to you. Through Extended Collective Licensing (ECL) schemes, individual makers can register the work within these bodies, and they will handle the rights issues for you. The Association of Illustrators UK recommends The PLUS Registry. 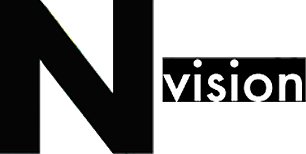 This is a non-profit online resource developed and operated cooperatively by a global Coalition of communities engaged in creating, using, distributing and preserving images. How can I get copyrights if I want to use an image? If you find an image you want to use, you might be lucky to find the work credited, visibly or invisibly and you are able to trace the rights-holders. They are the first port of call. You might be surprised how many are fine for you to use the image as long as they get a proper credit and they know what it will be used for. When discussing the details of use, keep in mind that a publisher or agency can also hold certain rights or claims. For instance they can block any republishing for a certain period of time to keep exclusivity. Better check with the artist if this is not a problem. 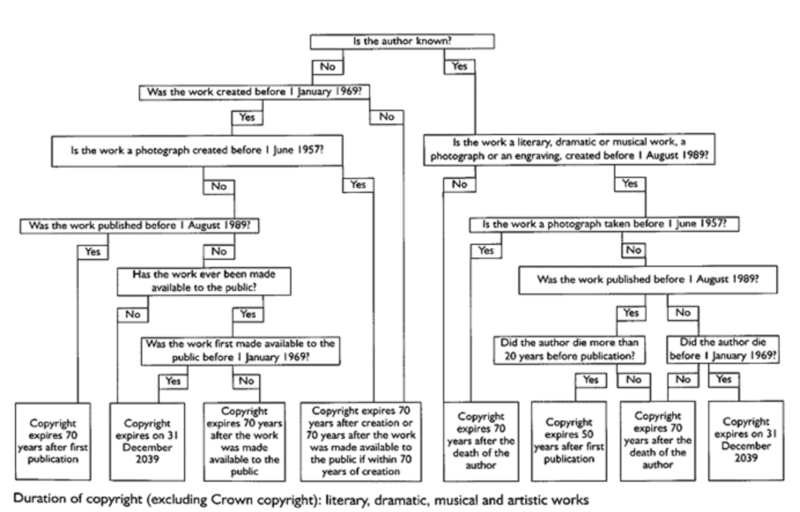 Publishers or agencies that hold the copyrights, tend to be more businesslike than the individual artist. Often a rates system is applied depending on the usage. They will want to know how you are going to use the image, which media, size and position within a publication and how it is going to be distributed. In case of print they will want to know how many will be printed and in whether it will be distributed nationally or internationally. All this influences the price and the terms of usage. A good indication of the factors that might influence the price you can see if you go to a Stock agency like Getty-images and check what they stipulate, when you want to buy a ‘rights-managed’ image. When thinking of which to put on price tag, be realistic, Getty and the likes are commercial powers, you might not be. 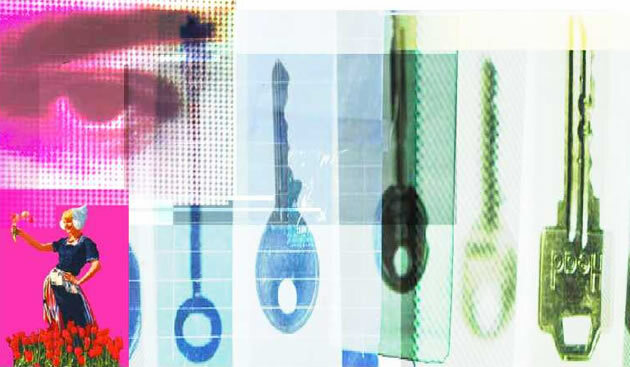 Transformative work: But what about collage or image manipulation? This is a famously contested zone in the case of the illustrator Stephen Fairey who made the famous Obama Hope image –He lost the legal battle over his use of a photographic source. The photographic source is a bland photograph showing Obama at some conference, Fairey’s image has carries US elections, spread around the world, has been the source for many reiterations, memes and has become an iconic global depiction for hope. It perhaps feels there are no longer any images out there that can be used freely. But this is actually not so. Off course you can use or make your own images. Be aware that if the image has already been published- the publisher might hold certain rights. You can use any work for which you have a license or agreement, this can be as simple as asking the maker if its ok to use the image and sending them an email in which you say what will happen to it. Some images hold a Creative Commons license. This a special license developed since the rise of the Internet to make it easier for people to share images without the need for obtaining permission. The Creative Commons is a very interesting set of ideas around sharing yet protecting images from abuse. With a special rating system using recognizable logos you can see what type of license the image holds. Within given rules, images under these licenses are then free to be used. For instance quite a lot of images in Flickr, or Wikipedia hold these licenses. They are easy to recognise and easy to apply. There are plenty of copyrights-free sites out there and software programs like Office, Photoshop often have a free image library. No guarantee for originality, but they might just fit the bill. You can also buy images from stock agencies. There is a huge market out there of readymade images, which can be directly downloaded from specially designed websites or of the artist websites themselves. Some do financially attractive deals where you can download huge quantities for a limited period of time. You get what you pay for, but it might just fit your purposes. Beware that the fee might suddenly shoot up if you go beyond a certain standard usage. Picture libraries vary wildly in quality and there are also many specialists out there. Some sell directly downloadable quality images from top photographers and top illustrators or specialised in areas like science or images from a particular museum collection. As they live of the copyrights, they have these well stipulated on their websites. What are my chances of getting caught? Well there are many companies out there eager to protect their assets, there are many lawyers who see this as a great way of income, there are many makers out there that frankly feel hard done by if you think you get just take their work. And there is this tiny thing called ethical practice: the moral disgrace of stealing someone’s work.On the other hand you are a small fish, with a small (potential) crime with a small pot of money to get at. But the way it works is that the libraries, the publishers and platforms get sued- and in return they will look to you. Just as it happened in music recording, with the clampdown on free music exchange, companies are forced to clean up and the government is busy sharpening the laws to suit a new era. Images, by nature ambiguous, need copyright laws specifically honed to what they are and what they represent, this will always remain somewhat muddy. But invisible watermarking, metadata and the Extended Collective Licensing are now part of image protection as well as searchability. 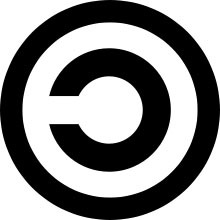 Creative Commons and Copyleft are important to keep free information flowing. But I fear the shaping of copyright laws is as often the case in the hand of politicians and those that might not always consider the needs or concerns of the single freelancer. But the bottom line is: Thou shalt not steal and let common sense prevail. 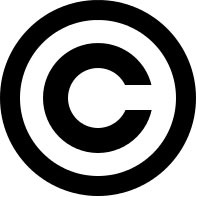 [ii] Special copyright rules used by the governments of a number of Commonwealth countries, including UK and Canada. It mainly covers material created by civil servants, ministers and government departments and agencies. [iii] Look at the website of the Dutch Design organization or consider this a comprehensive guide published by the association of illustrators UK. [v] Metadata provides information about certain item’s content. For example, an image may include metadata that describes how large the picture is, the image resolution, when the image was created, also who the author is, and keywords. Most search engines use this data when adding pages to their search index. This entry was posted on Monday, December 16th, 2013 at 12:09 pm.